Double-meanings, disguises and dirty laundry abound in THE MERRY WIVES OF WINDSOR as Sir John Falstaff sets about improving his financial situation by wooing Mistress Page and Mistress Ford. But the 'Merry Wives' quickly cotton on to his tricks and decide to have a bit of fun of their own at Falstaff's expense. 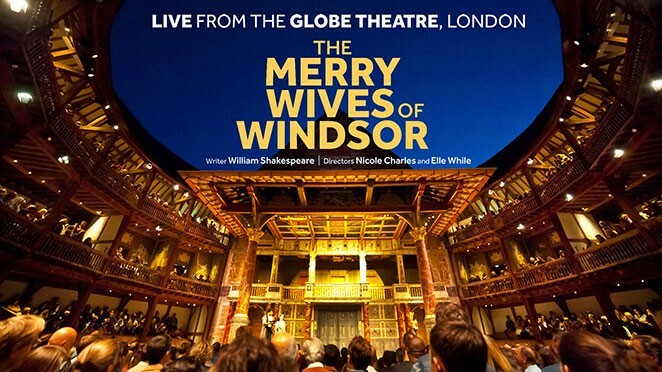 Directed by Nicole Charles and Elle While, and staged at the beautiful and iconic Globe Theatre in London, this new production of THE MERRY WIVES OF WINDSOR will be broadcast live to cinemas and will feature exclusive behind-the-scenes insights into the play.